Each year we come across reports and statistics stating the sad state of fatalities and accidents caused due to lack of work safety in New York City. Construction accidents have always been there but in the recent years, they have increased at an alarming. Last year was specifically notorious for the lack of safety construction that lead to a construction accident involving criminal charges & convictions of construction companies and individual supervisors. A general contractor was found guilty when a worker died on its construction site, later that year a foreman was sentenced to 1-3 years because of repeatedly ignoring work safety warnings. Risks regarding safety construction have been linked with nonunion employers, language barriers and lack of training since long. And now government agencies and the Occupational Safety & Health Administration have initiated a thorough pursuing of cases in which workers life might be at risk when supervisors or owners are suspected of being negligent in work safety methods. Furthermore, the New York courts are using the existing general criminal laws of the state to hold the employers responsible for the lack of safety construction in response to the issues arising at construction sites. Some companies have detailed policies and procedures for construction safety in place in the event of an accident which includes who should talk to Department of Buildings, OSHA, the insurance or even the press but the methods to ensure work safety and safety construction are not as sound. There is a lack in the proper following of protocols. A review of procedures for construction safety regular basis and confirmation acknowledgment. Zero tolerance policy for alcohol or drug use. Zero tolerance policies for improper payments to government officials and lack of training to be implemented on a company-wide basis. Discriminatory practices of all sorts should be avoided by contractors. And ensure that all the workers on site both speak and understand English so there is no ambiguity in effective communication. The personnel involved in enforcing these procedures and calling out violations need to be protected and rewarded. There should be a system of rewards in the company for accident-free sites. Only by the implementation of these measures and work safety can be ensured. 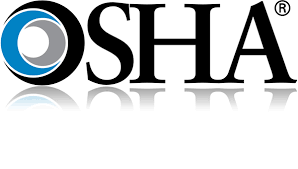 OSHA enforcements need to be enforced at a national level so that effective measures deter any unsafe conditions. This calls for more inspectors along with both training and hiring staff fluent in different languages. This is a must-need as the number of OSHA inspectors is limited and due to nominal fines for violators, many owners fail to take the OSHA violations seriously that might lead to more accidents.